China is always on top when it comes to internet censorship. 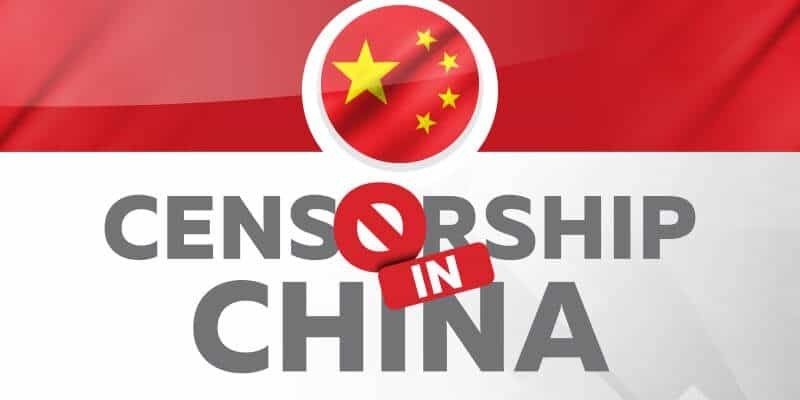 The ruling party in China has the legal right to control all content over the internet mainly because of political reasons within the Party’s territory, and their censorship rules do not violate on the citizen’s right to free speech. The country has blocked many huge social media platforms like Google, Facebook, YouTube, etc. The firm is being backed up by artificial intelligence to examine contents on apps and various websites from subscribers of Peoples.cn which is the online version of Peoples Daily and it is the most significant newspaper provider in China. Even after China’s strict online censorship program, demand has increased since last year’s Shanghai-listed People.cn. Still, you can unlock all the top sites in the nation with the help of the best VPN for China. In addition, regardless of the policies set by the government, the demand for such software is significantly increased. China has already banned thousands of websites and social media accounts for posting offensive and illegitimate content over the internet. Deals are being made between Peoples.cn and JinriToutiao to delete content off the internet that is not validated by the government’s guidelines. Income is expected to rise 140 percent since 2011, and that will liquidate about 31.93 million United States Dollars claims, Peoples.cn. Money from the censoring business is to have jumped to 166%, the company said to the Shanghai Stock Exchange. Peoples.cn has signed a deal with the government of Jinan in eastern Shandong province to help the city become China’s censorship capital. People. Cn, already has hundreds of employees to examine the online posted content and want to set up a partner company in Jinan, reported the Jinan Daily, drawn by the city’s size to Beijing’s and sufficient availability of college graduates that they could join the firm for jobs. Content like images, texts, music, videos, apps, games, advertisements and animations can be examined by Peoples.cn. The platform can notice and remove sensitive online materials by artificial intelligence (AI) and machine learning algorithms very quickly, one of the main points is to block harmful information and spot and correct false ideas in time said the company’s president. Human analysts are always present in case the artificial intelligence cannot recognize specific content that is harmful to the internet in many hidden areas. The platform is continuously learning new words and updating its database to be a better offensive content finder as it is brilliant it can make new rules and judge what is right for the internet of its country and with the verge of 5G, the new area of scouting the business will keep growing and growing.